by Alison Hoover | News scandals erupt in likely places. Once upon a time, Americans believed they could trust major news networks to provide accurate news stories based solely on fact. America’s high degree of specialization has caused people to place their trust in the media to do its job and provide them with reliable information. Times have changed. After numerous mainstream media scandals, including but not limited to the most recent, “Rather-Gate,” many Americans have decided to go elsewhere for their news and bypass the perennial six or ten o’clock evening newscasts. Internet bloggers and compilation sites such as the Drudge Report have sprouted up and offer viable competition for news-seeking audiences. These sites don’t have to worry about creating snazzy graphics or ornate anchor studios to catch the eyes of the average channel surfer, but instead, cater to the internet-savvy user looking for pure news content. Their existence doesn’t depend on sustaining high ratings. Trusted alternative news websites actively work toward sustaining a reputation for speed and thoroughness. Much of their success can be attributed to letting the reader perform his own analysis, rather than letting Dan Rather do it for him. Surfers not only have the power to choose where they go for news, but also can access a seemingly infinite number of websites that will help them verify information and form their own conclusions at the touch of a button. As discussed extensively in the recently-published CBS investigative report, conducted independently, the September 8 segment of 60 Minutes Wednesday “failed to meet [CBS’s] two core principles” of accuracy and fairness in its investigation of President Bush’s National Guard service. Though the panel was unwilling to completely dismiss the Killian documents as untrue, they also said it was highly unlikely that they were real. In journalism, a source cannot be considered “innocent until proven guilty.” Given the potential impact of reputation-damaging news stories, especially during an election season, sources should not be presented as a basis for any story unless they have been “proven innocent,” or authentic and reliable. The most important issue at hand is the cause of this instance of inaccuracy about the President. Explaining how the inaccuracy occurred is simple: poor research. For example, a simple LexisNexis search for the name Lieutenant Colonel Burkett, CBS’ source for the documents bringing the President’s service into question, reveals his appearance in news stories in February of 2004 with quotes that discredit his later claims. During the course of production, no CBS staff member at any time attempted to contact other individuals who could have corroborated Burkett’s story. CBS did attempt to determine the authenticity of the Killian documents. None of the four experts brought in by CBS expressed confidence in either the document’s authenticity or their own abilities to ascertain it. Despite this, CBS used the documents as evidence against the President in the 60 Minutes Wednesday segment. Understanding why the inaccuracy occurred is a more complicated and important story. The 60 Minutes Wednesday story aired during a heated presidential campaign. Mary Mapes, a producer working for Dan Rather, had been looking for damning evidence against the current President on and off over the past six years. She was never deterred by the fact that she couldn’t find any solid evidence to support any of her theories, and was determined to be the first to present a damaging story about Bush’s National Guard service, with or without facts. This may seem far-removed from the Tufts campus, especially with widespread internet service allowing students easy access to blogs and other news sites. In reality, there are some striking parallels. There is a diverse and energetic campus-media and media studies department at Tufts. However, a recent example demonstrates they are far from immune to the effects of journalistic irresponsibility. Just before winter break, a UCCPS class called “Producing Films for Social Change” presented the films they had created over the course of their semester. One group documented political activism on campus. In doing so, they did not take the time to contact any sources to verify controversial accusations toward the Tufts Republicans club made by individuals featured in the film. Like CBS, even though there were doubts about testimony and information received, they decided to show the piece anyway. If the producers had adhered to a very basic set of journalistic ethics that surely must have been taught in the class they were participating in, then they would have made efforts to corroborate the statements made in their film. If CBS had acted in an unbiased, responsible manner, they would have taken additional precautions to verify the truthfulness of their explosive story. Since CBS aired its segment and the UCCPS class aired its film, both have admitted wrongdoing and proposed ways to remedy their mistake. CBS has lost five employees, one through resignation and four who were fired. 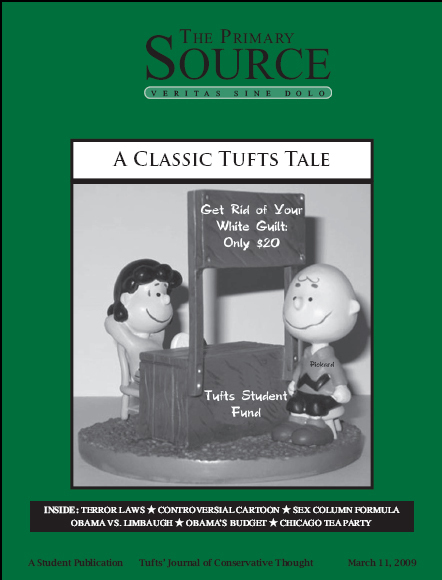 The Tufts film was edited to remove the information proven false. These two specific situations have been resolved, but the media’s potential for incompetence remains. It often relies on the entertainment or shock value of their programs to retain viewers. This can and has led to sensationalism in factual reporting. Unfortunately, many consider this less interesting than hearing offensive slurs about an unpopular person or group of people, even if they are false. Miss Hoover is a freshman who has not yet declared a major.